Nebraska 4-H is about more than just club, camp, school enrichment, and afterschool programs. The educational philosophy of the 4-H program is preparing young people for successful futures. 4-H educational programs place a strong emphasis on life skills, such as critical thinking, citizenship, and leadership. These skills are fostered through educational programming based on an experiential learning model. This gives youth the opportunity to participate in hands-on learning experiences built around the concept of positive youth development, which is centered on structured out-of-school time learning, leadership experiences, and adult mentoring. Everything Nebraska 4-H offers and delivers is built around positive youth development. PYD is an intentional, prosocial approach that engages youth within their communities, schools, organizations, peer groups, and families in a manner that is productive and constructive; recognizes, utilizes, and enhances young people’s strengths; and promotes positive outcomes for young people by providing opportunities, fostering positive youth relationships, and furnishing the support needed to build on their leadership strengths. nearly 4 times more likely to make contributions to their communities. about 2 times more likely to be civically active. nearly 2 times more likely to participate in science programs during out-of-school time. 2 times more likely to make healthier choices. 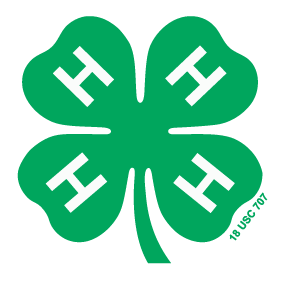 Nebraska 4-H provides positive youth development through camp, club, school enrichment, and afterschool programs. However, positive youth development doesn't only occur through 4-H programming. As professionals on youth development, Nebraska 4-H is well positioned to help others work with youth. Especially 4-H volunteers and club leaders, but even individuals working with other youth-serving organizations, such as licensed child care programs, public and private schools, before- and after-school programs, faith-based groups, summer youth camps, youth development programs, and juvenile justic programs. Nebraska 4-H is here to help you work with the young people in your life, help you deliver positive youth development, and help young people develop into caring, responsible, and successful adults. The resources available on this page are intended to assist adults who work with young people of all ages and background regardless of their familiarity or affiliation with 4-H. The Core Competencies for School-Age and Youth Development Professionals are designed to inform professionals and the public alike of the knowledge and skills you want to see in professionals working in licensed child care programs, public and private school before-and-after school programs, faith-based groups, summer youth camps, youth development programs, and juvenile justice programs. Below is a list of links that will help you learn about expanded learning opportunities. The featured links are examples of organizations that are seen as leaders in the afterschool and out-of-school time profession. A professional development resource for out-of-school time (OST) professionals, Click2Science is designed to build higher-quality OST STEM programs by giving frontline staff the skills they need to create positive STEM learning experiences with youth. The Afterschool Alliance provides resources on the need for quality expanded learning opportunities and advocates for stronger public policy and investment for afterschool and out-of-school time programs. The David P. Weikart Center for Youth Program Quality provides research and resources that can help youth workers improve the quality of their youth programming. This website is hosted by The After-School Corporation (TASC). Expanded Ed Schools work on policy supporting quality out-of-school time learning by providing resources for improving graduation rates, STEM, and closing the achievement gap. NIOST is one of the nation’s leading authorities on providing quality out-of-school time experiences. The site provides research and resources helpful in implementing quality expanded learning opportunities. The National Network of Statewide Afterschool Networks is focused on the core components of afterschool and expanded learning opportunities—engaged learning, school-community partnerships, and family involvement. Use this website to learn about how the national network accomplishes this important work, access valuable resources on afterschool and expanded learning and reach out to your statewide afterschool network. This Harvard University Graduate School of Educate website provides resources, research, and databases that strengthens family, school, and community partnerships, out of school time programs, and early childhood care and education. PEAR is a combined effort of Harvard University and McLean Hospital. It integrates research, theory, and practice between youth development, schools, and mental health. The website has assessment tools, publication, and resources on afterschool programs, best practices and funding. Helping all young people be ready by 21 – ready for college, work and life are the vision that drives our work and knits together the technical assistance centers, networks, and projects and initiatives we have developed to help leaders change the ways they do business. For more than 50 years, Search Institute® has been a leader and partner for organizations around the world in discovering what kids need to succeed. Our research, resources, and expertise help our partners in organizations, schools, and community coalitions solve critical challenges in the lives of young people. The Institute for Applied Research in Youth Development is a laboratory within the Eliot-Pearson Department of Child Study and Human Development at Tufts University. The Institute has the mandate and goal to be a center of excellence for the conduct and dissemination of top-tier scholarship and for the education and professional development of graduate and undergraduate students interested in enhancing the lives of diverse children, families, and communities. The Nebraska 21st Century Community Learning Centers expanded learning and enrichment opportunities for school-age students and their families outside regular school hours. The website has resources on quality out-of-school programming and grant funding for Nebraska schools and communities. Beyond School Bells is the Nebraska Afterschool Network. It provides resources and advocacy for quality expanded learning time opportunities for the state of Nebraska.